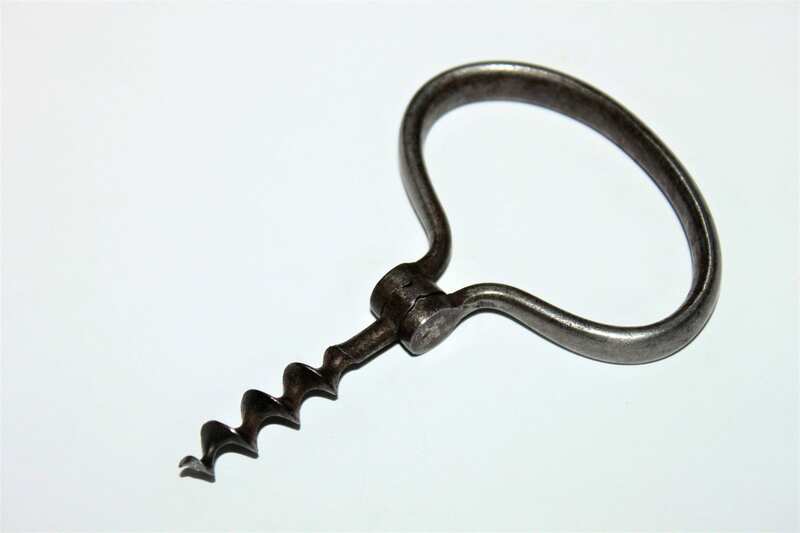 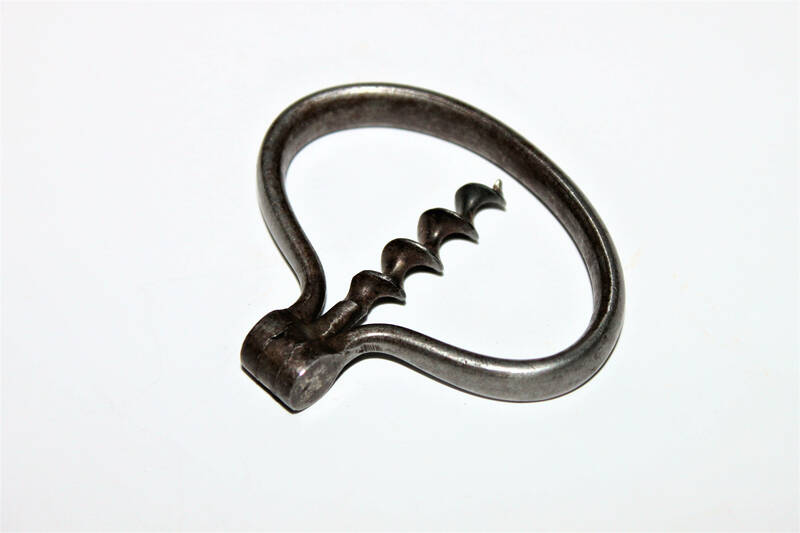 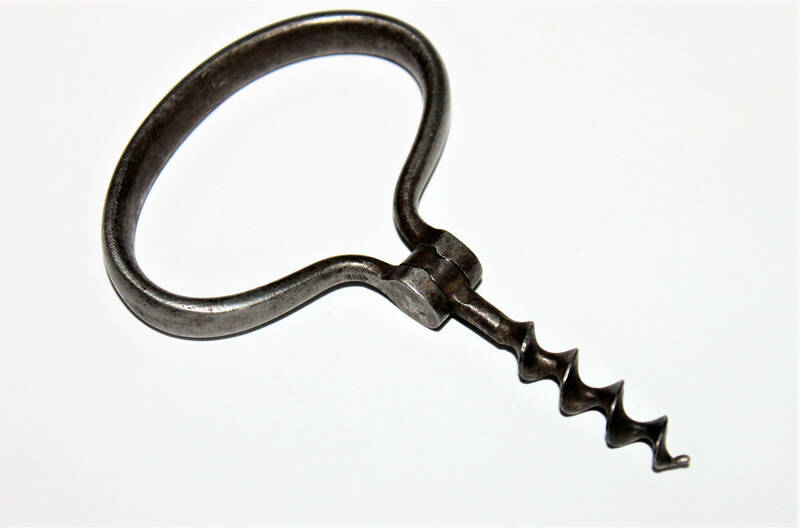 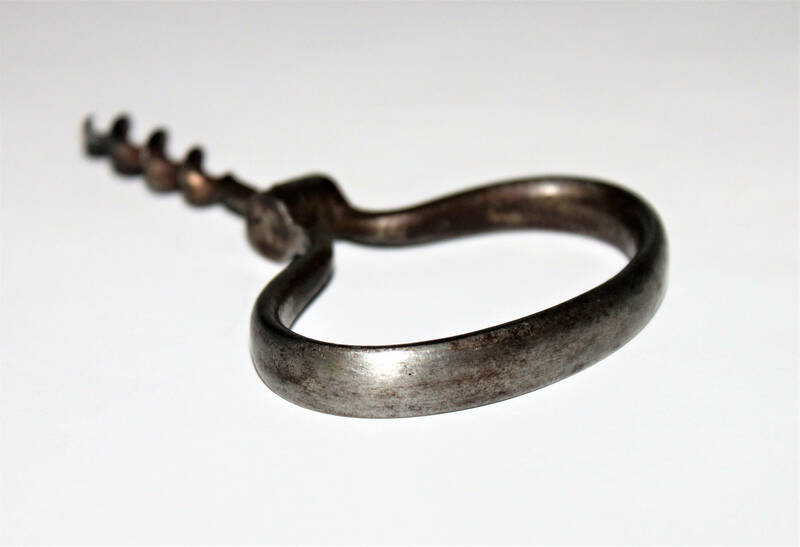 These are known as harp or bow style corkscrews this is an England design with oblong oval shaped three finger pull handle. 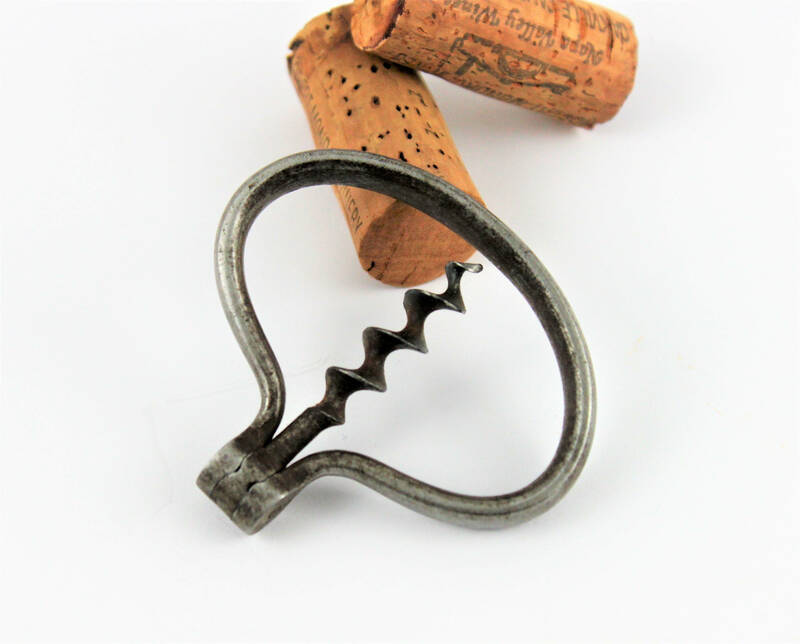 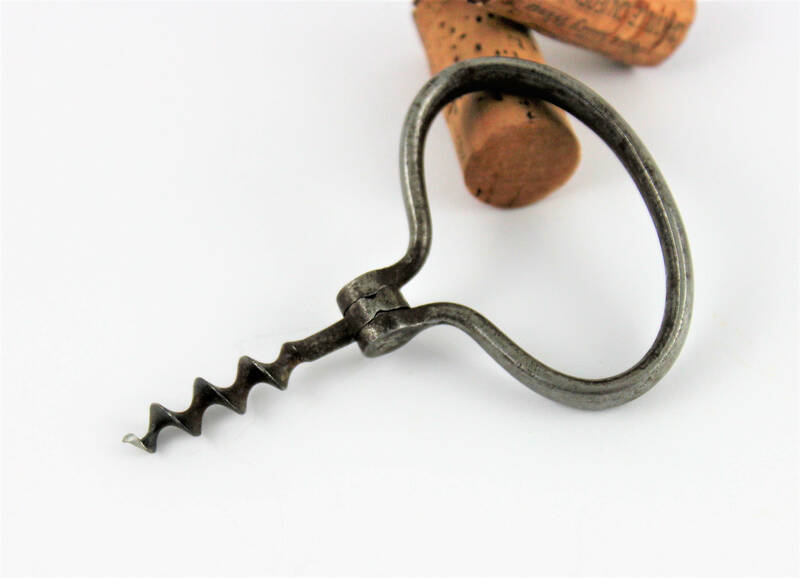 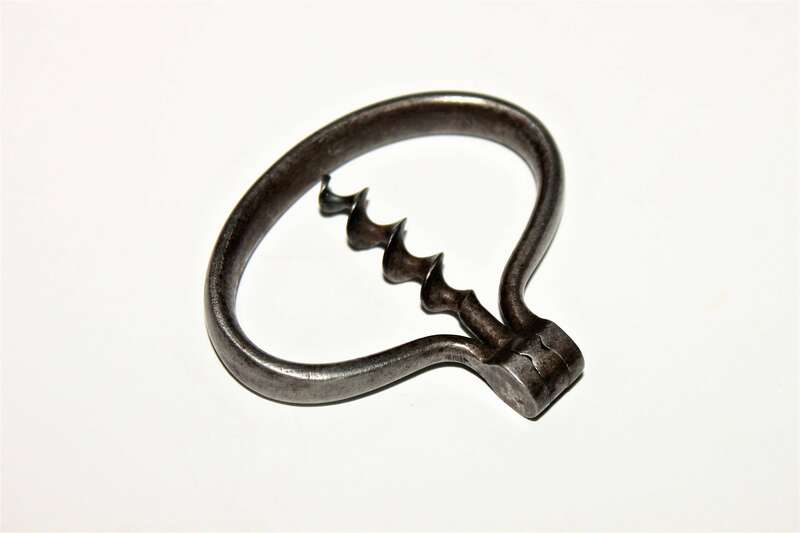 The handle is designed as a tension spring which holds the worm (corkscrew) in place as you rotate the worm out of the handle it locks it into place the actual worm is a bladed worm designed to cut through the cork with ease. 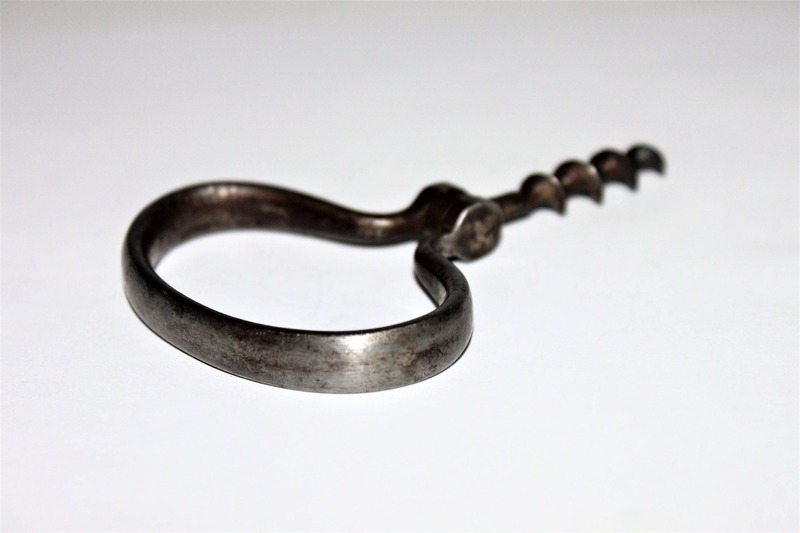 This is semi rare as the handle shape is not often seen. 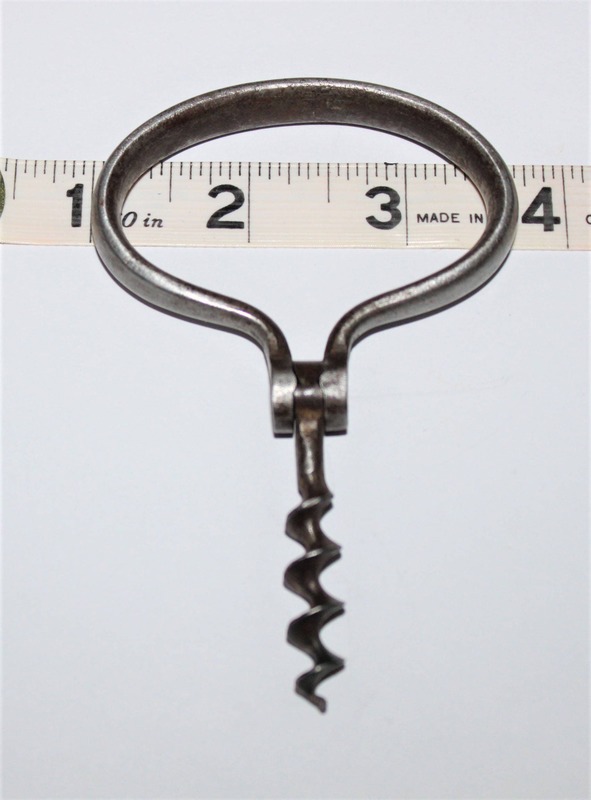 Measures; 4” long open, 2.625” wide at handle.